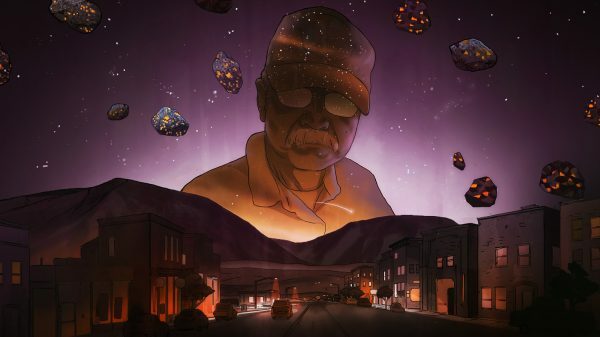 The Epic Tale of a Meteorite Hunter’s Journey to Jail « Adafruit Industries – Makers, hackers, artists, designers and engineers! For eight seconds, an eerie orange glow lit up the mesas and canyons of western Colorado with the intensity of the full Moon. Locals reported a bluish orb in the sky that burst into a yellow ball of flames and dissipated over the Gunnison Gorge, located 10 miles east of the city of Montrose. Moments later, they heard a crackling followed by a low rumble. One observer was standing on a ridge when he felt his entire body reverberate, as if from the blast of a powerful speaker. Another man was driving west when he saw the flash in his rear-view mirror. He veered off the road, popped open his car door, and craned his neck to the horizon. “There was a bright light that just hung in the same spot with sparklers trailing off,” he recounted shortly afterward. Some residents called 911, believing they had witnessed a plane or helicopter crash. That fireball in the sky on Thanksgiving Day 2002 turned out to be a rock from space. A video camera on the roof of Montrose High School, part of a state-wide astronomical network, captured images of the extraterrestrial object as it pierced the atmosphere at a speed of 36,000 miles per hour. The hunk of rock was about the size of a mini fridge, and when it flared up 60 miles over the Rocky Mountains, it did so with the force of 2.4 tons of TNT. Montrose (population 19,132) isn’t the kind of place where you’d expect a lot of amateur astronomers. Founded in the late 1800s as a hub for mining and ranching, it had become just another windblown town in the West, filled with empty storefronts, mobile homes, and veterans cashing Social Security checks. But after Montrosians caught a glimpse of that shooting star, they kept looking up. An even brighter meteor burst over Main Street in May 2004. Four years later, another big one streaked across the sky to the northwest. When a space rock passes through the atmosphere and lands on the ground, it’s called a meteorite. Finding one is a little like picking up a winning lottery ticket. Some of them may be worth just a few cents per gram. Others can sell for thousands of dollars. Meteorite hunters naturally started searching the hillsides above Montrose for debris, but most left empty-handed.